I've only tested a few of these products out, so full reviews will come with time, but I figured I'd share the new bits I picked up. Also, shout-out to my homegirl Hannah for mailing me her 20% off friends and family coupon. Without her, this damage would not have been done. 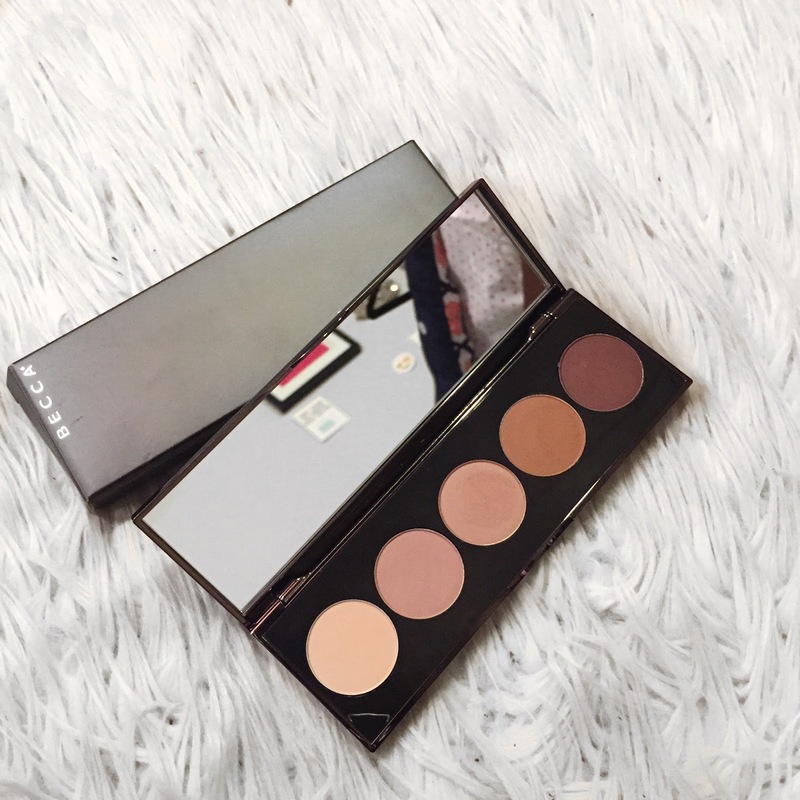 I felt compelled to get the Becca Ombre Rouge Eye Palette because I really need to step up my eyeshadow game and not wear the same few shades on my eyes day after day. 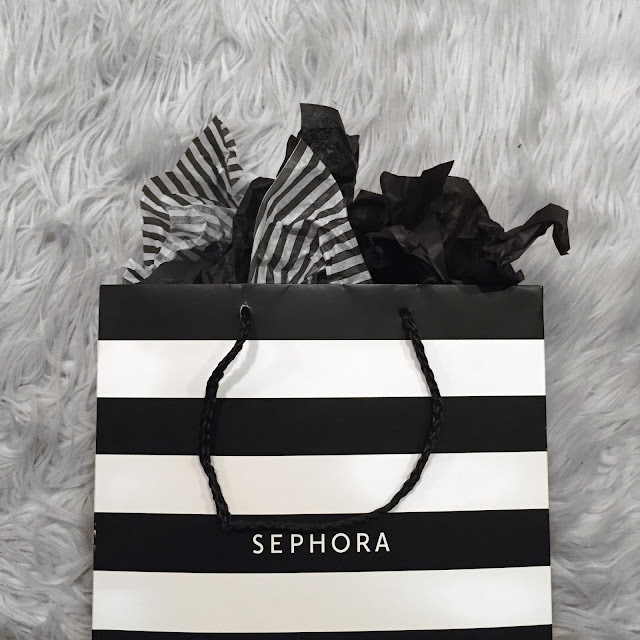 This was an impulse purchase at the end of my little spree, but I had been eyeing it the past few times that I stopped into Sephora for a quick browse and shop. 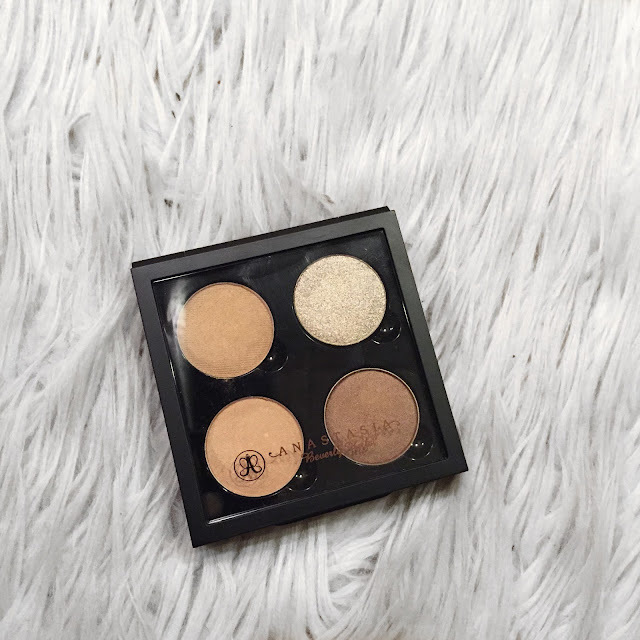 I also built my own Anastasia quad as part of my attempt to improve my eye looks! The top two are Suede and 10k and the bottom two are Topaz and Metal. I've been dying to test out this scent, ever since I started to obsess over the samples tucked in the pages of my magazines. 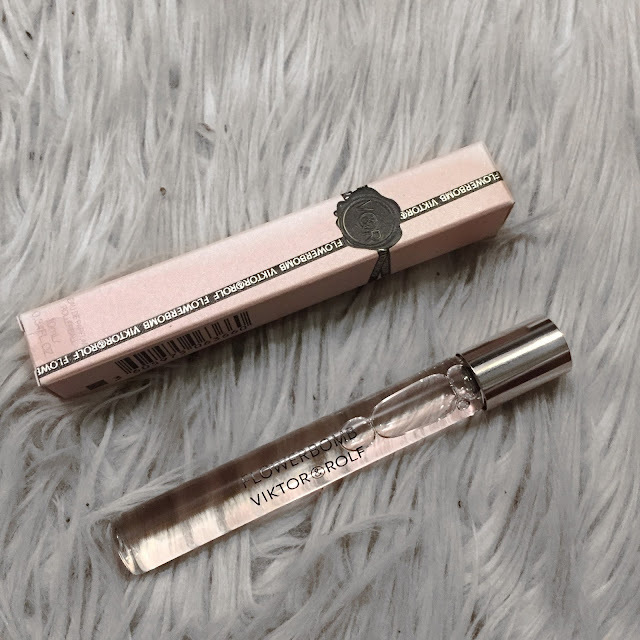 I'm so, so glad that I took the plunge to get the rollerball of Viktor & Rolf Flowerbomb because it smells like a dream come true. This is a repurchase of the Urban Decay Naked Skin concealer, but I figured I might as well grab a new concealer while I could get it 20% off, especially considering I had run out of my NARS Radiant Creamy Concealer a couple of weeks ago and have been using a NYX one in its place that I don't hate, but I'm not quite sure I love it. I just talked about this the other week on my blog and decided that I should just purchase the travel size. I wasn't quite ready to splurge on the full-sized bottle yet, but I have a feeling this one will last me a while! 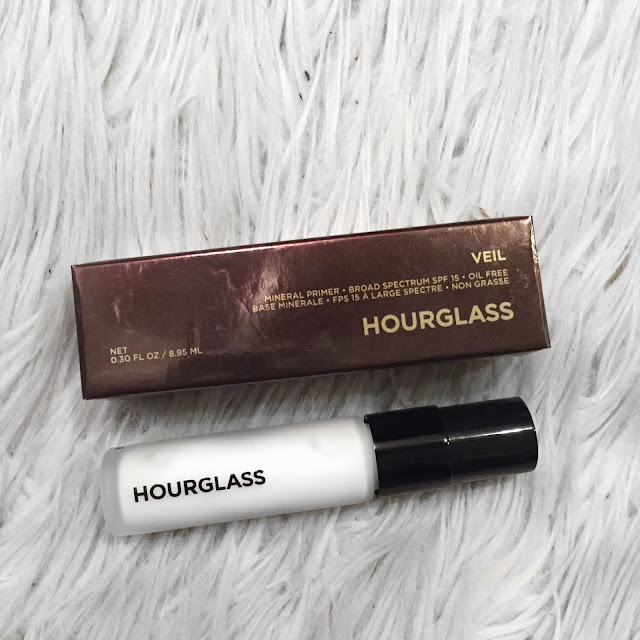 The Hourglass Veil Mineral Primer has been preserving my face makeup so well lately that I think going a day without it would seriously bum me out. I couldn't risk it, so I got myself another bottle for the day when my small sample runs out. 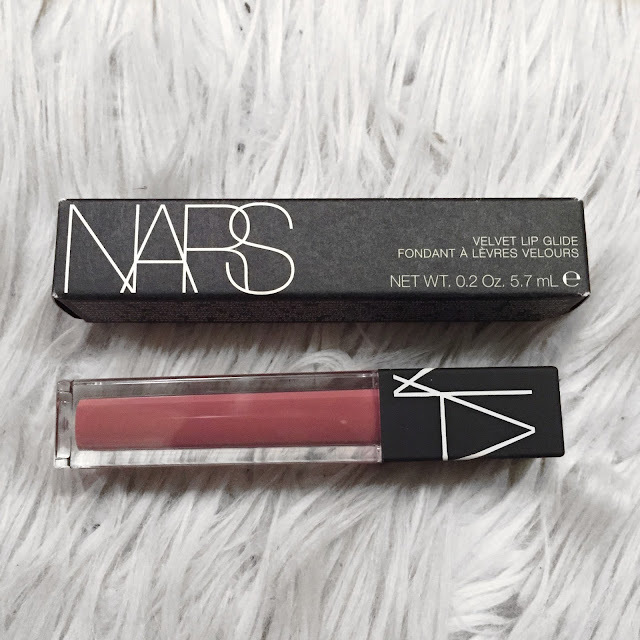 I've heard mixed things about the new NARS Velvet Lip Glides, but I decided to make the plunge to see whether or not they were for me. I got a lighter shade, just incase it didn't work out because I find that they're easier to manage when they're not your favorite just because of their neutral nature. I haven't worn it extensively yet, so I'm sure I'll share my thoughts in the future about this product! I got mine in the shade Bound, which is a beautiful rosy pink. Last but not least, I got a new blush. I haven't purchased a new blush in god knows how long and since I have significantly less fall blush shades than summery shades, I figured it was about time I add something new to my blush drawer. 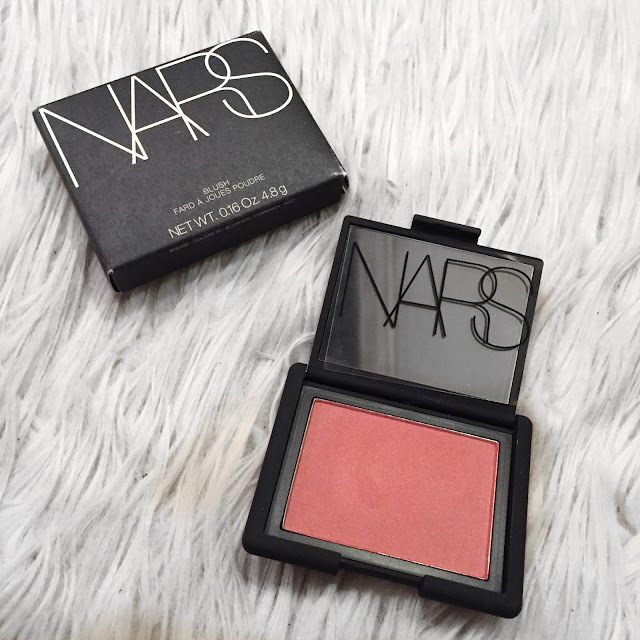 I picked up NARS Dolce Vita because I just adore their blushes. Honestly, NARS is probably overall my favorite high-end makeup brand. They rarely let me down and I'm just so pleased with this shade. It's another rose colored product, but this one is a bit darker and more dusty than Bound. As I try these products out, I'm sure they'll pop back onto the blog over the coming weeks. I'm crossing my fingers that all of them work out! 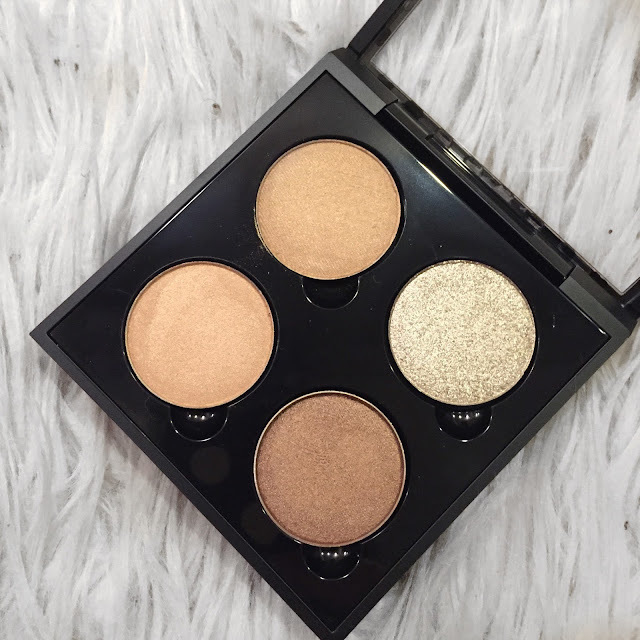 omggg fran those eye shades are amazing (especially the becca palette). i ALSO have been tryna up my eyeshadow game. here's hoping we kill the game!!!! 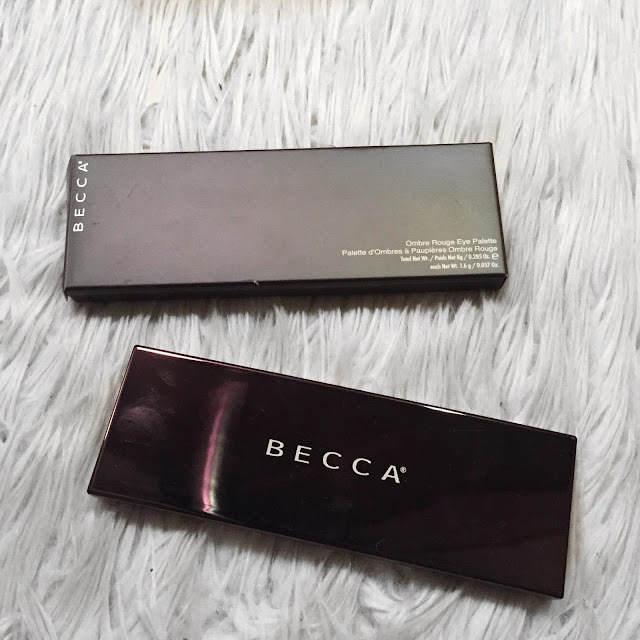 I'm wearing the Becca palette today and the colors are so gorgeous. Honestly, I'm crossing #AllThePhalanges for us. We got this!!!!! PS: how do you sell your clothes online because i have been looking into it but not quite sure where to start?? I don't sell online, I sell through consignment stores in the area! So I sold my lower end stuff to Plato's Closet (there's also a couple of other places around here called Clothes Mentor and Avalon Exchange that I know they have other places) and my higher end things to a different place called Revolve. They only give you 30% of what they sell it for, but honestly, since it's just things that I don't wear that take up space in my closet, I'm fine getting whatever I can for them and it's such an easy process. I think we are Sephora soulmates - nice haul! I FORGOT TO TELL YOU...you inspired my Smashbox Chillzone purchase a couple of weeks ago and I am so grateful for it....Definitely one of my favorite formulas and shades! So jealous of this haul! Looks like you got some really great products. 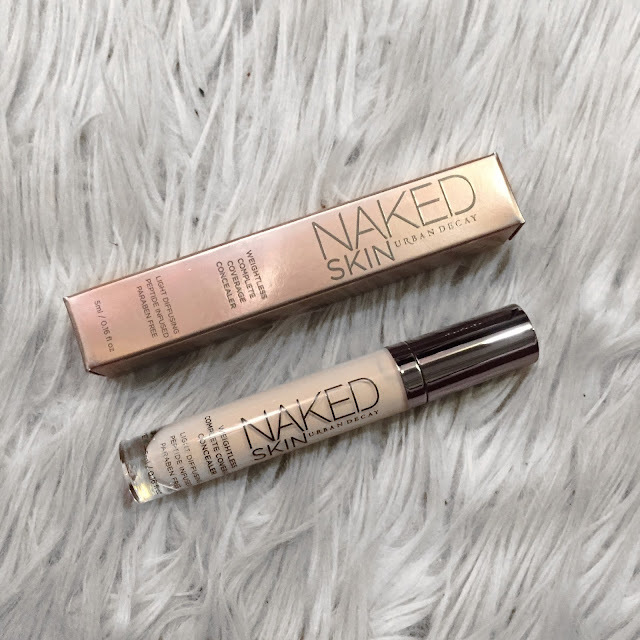 I love the Naked Skin foundation but haven't tried the concealer yet! Do you love the foundation? I think after a four year stint with the Covergirl Outlast Stay Fabulous foundation, it might be time for a change and the UD Naked Skin foundation is high on my list of contenders!